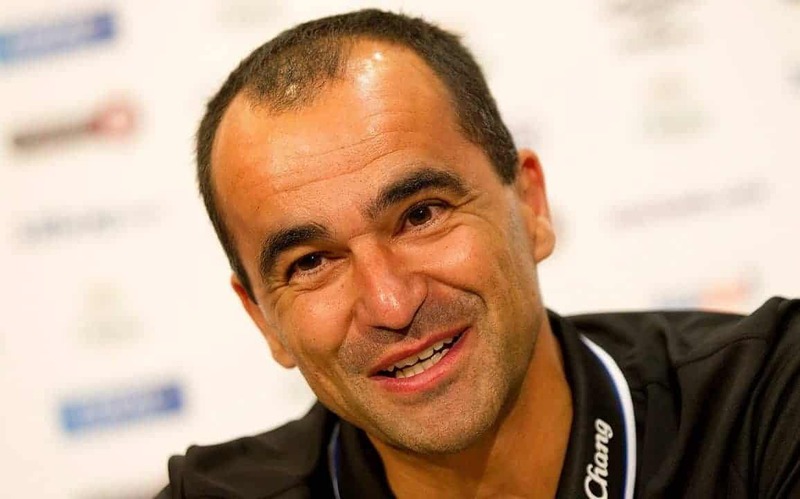 The Roberto Martinez Blame Game… there is only one winner. So, Leighton Baines is the latest player in the Roberto Martinez blame game. Referees, injury time, bad luck. All to blame for Everton’s struggles this season, according to our manager. Martinez, obviously, is doing a sterling job as Everton continue to build and grow and develop. The fact we are in the bottom half of the Premier League table is down to outside factors. And no doubt the Wembley pitch will be too green should Everton fail to beat West Ham or Manchester United in the FA Cup semi-final on April 23. If it wasn’t for pesky officials, terrible luck and the unfair comments of Baines, Everton would have won the title long ago. With so many things going wrong at Goodison Park this season, one has to wonder whether it really is down to misfortune and being cheated out of games – are Everton really victims of the biggest footballing injustice the world has ever seen? With that in mind, just who, or what, is really to blame for Everton’s dismal run? Who or what is to blame for Everton sitting in the bottom half of the Premier League table? Who or what is to blame for Everton being closer to the relegation zone than the top four? Who or what is to blame for the fact that, in the last SIX months, Everton have just one Premier League win against sides not currently in the bottom three? Who or what is to blame for ruining the Goodison fortress? Who or what is to blame for the EIGHT home defeats this season? Who or what is to blame for the fact the current side is closing in on the worst home record in Everton history? Who or what is to blame for Everton holding one of the worst home records in Europe? Who or what is to blame for the 28 goals conceded on our own turf? Who or what was to blame for the FOUR goals we let in at home to Stoke? Who or what was to blame for the horrendous substitution and tactical switch which saw Everton throw away a two-goal lead to lose 3-2 at home to West Ham in the final 12 minutes? Who or what is to blame for the fact Everton season-ticket holders have paid over £100 per home win this season? Who or what is to blame for the enjoyment of matchday being ripped out of an entire fanbase? Who or what is to blame for making ‘going the game’ a chore? Who or what is to blame for the toxic atmosphere that befalls the majority of Everton home matches? Who or what is to blame for the fact Everton play with ‘fear and doubt’ at home? Who or what is to blame for some supporters leaving the majority of matches early this season? Who or what is to blame for ruining our weekends? Who or what is to blame for Everton’s constant capitulations this season? Who or what is to blame for the fact Everton have conceded 3+ goals a staggering 16 times in the 106 Premier League matches during Martinez’s tenure on Merseyside? Who or what is to blame for the fact Everton have dropped 45 points from winning positions under Martinez? Who or what is to blame for the fact a poor West Bromwich Albion side are above us? Who or what is to blame for Everton’s inabilility to defend set-pieces for the majority of the season? Who or what is to blame for Tim Howard starting every game in the first part of the campaign despite the fact he continued to cost the team points? Who or what is to blame for the club’s 25-goal striker wanting to leave in the summer because the club can’t offer him Champions League football? Who or what is to blame for the fact John Stones has gone from one of the best young centre backs in Europe to now looking like a liability in the Everton backline? Who or what is to blame for the fact Everton seemingly can’t function in the absence of a 35-year-old defensive midfielder? Who or what is to blame for the imbalance in the first-team and the disjointed performances of the last two seasons? Who or what is to blame for the fact Everton only have one way of playing and no Plan B? Who or what is to blame for the fact the side lacks chemistry, as pointed out by Baines? Who or what is to blame for the low morale engulfing the club at present? Who or what is to blame for the fact Everton have become this season’s laughing stock? Who or what is to blame for Martinez’s inability to learn from his mistakes? Who or what is to blame for Martinez’s refusal to take responsibility for his team’s failings? Who or what is to blame for all of the doom and gloom despite the fact we are entering a new era thanks to Farhad Moshiri’s investment? Who or what is to blame for the fact the majority of Evertonians are desperate to see a change of manager? Who or what is to blame for Everton’s underachievement during the last two seasons? It’s the Roberto Martinez blame game everybody… and there is only one winner.